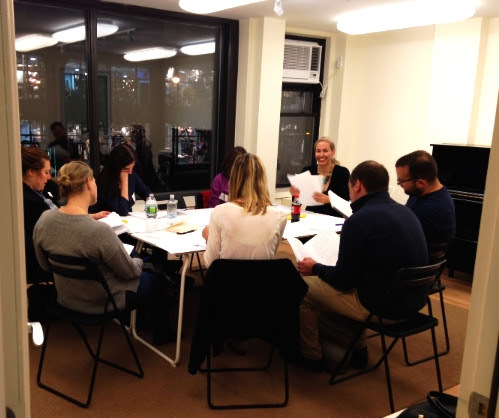 NYC Classes begin April 25! Learn strategies to create more joy and ease in your home! Silver Music parents who register early receive $50 off tuition! See code and registration information below. During this small-group, six-week workshop, plus a bonus seventh week review session, you will learn powerful communication skills that make life with children easier and more satisfying. Each week, we’ll walk through a new skill set that will provide you with the know-how to be more effective with and connected to your children. includes Bonus Review Class on 6/13! This class is appropriate for parents of toddlers through teens. We cover simple (but not always easy! ), yet highly-effective communication skills applicable to parenting through class exercises, discussion, reading, and ‘homework’ (i.e. practicing at home), and demonstrate how the skills can be used in age-appropriate ways. Many participants happily report the skills have also improved their adult relationships! Class size is small (no more than 10 people) which allows for individualized coaching from Shelly and a powerful group dynamic. The How To Talk So Kids Will Listen & Listen So Kids Will Talk Workshop is facilitated by Parent Educator and Coach, Shelly Macdonald. Shelly has been practicing and teaching the How to Talk skills for over 10 years. She is passionate about sharing the “Good News of Parenting” and helping parents foster the next generation of human-kindness. Can’t make the class due to your schedule or location? Shelly also offers private coaching via phone or internet. To schedule a session or inquire about coaching, please email Shelly directly at shelly@shellymacdonald.com. We are thrilled to be hosting another session of Shelly Macdonald’s parenting classes at Silver Music this spring! Shelly will be conducting a seven-week workshop guided by the book How to Talk So Kids Will Listen and Listen So Kids Will Talk by Adele Faber & Elaine Mazlish. Classes will meet at Silver Music’s 72nd St location on Thursday mornings beginning October 1st. CLICK HERE to sign up for her Thursday class! See Silver Music testimonials below or visit Shelly‘s website, apparentlove.com for more information! If you have any feedback you would like to share with us, please take a moment to fill out our anonymous evaluation forms. The Third Side of the Triangle: Parent-Teacher Teamwork! 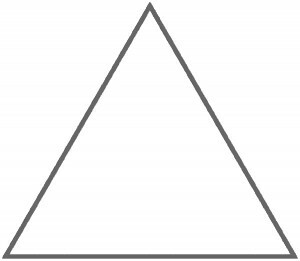 The Suzuki Triangle, the metaphor for the connected relationship between Student, Parent, and Teacher, is properly drawn and envisioned as an equilateral triangle–the equal importance of each relationship is at the heart of the metaphor. It’s invaluable to teachers to hear from you about how practice went each week, what type of stumbling blocks you might have encountered, whether emotions were running high, or what might be particular points of tension. It’s also extremely helpful if you can share information about your child from other activities such as motivational techniques that work for homework or struggles they face in school. You see your child everyday, we see your child for less than an hour a week, fill us in! Don’t be afraid to be really honest with your teacher about practicing, whether it was a good or bad week (we’ve all been there!). After you tell us about that tantrum your 5 year old threw on Thursday night, please don’t follow it up with the suggestion that if only the next lesson included the piece your child really loves (or that his friend is playing in group class, etc.) the tantrums would be avoided. We rely on you to let us know your observations about your child’s behavior, but you have to trust us to find the best method to address those frustrations. You are in the trenches with your child while we have the overview and experience to plan the best strategy. Arrive at least 5 minutes early to allow your child time to use the bathroom, wash her hands, have a drink of water, and mentally prepare for the lesson. Make sure fingernails are cut short. When possible (i.e., not to the detriment of others in the waiting room), unpack before the lesson door opens. Keep in mind that music lessons are “non-durable” goods. Your child’s time slot is reserved for your child, even when you aren’t able to use it, it can’t be resold. This means that very often in order for your teacher to give you a “make-up”, she is actually offering you a pocket of her own free time without compensation. At times, this is appropriate and part of our policy, but please be aware that there are strict limits for make-ups and that even when a make-up is due, be aware of how you speak about it. Work with your teacher to find a time that fits conveniently in her schedule. Under no circumstances should you ever contact another teacher to give your student a lesson while your teacher is unavailable unless this has been suggested and prearranged by your own teacher. If you ever have questions about what your role is in the triangle, or how to better communicate with your teacher, just ask! Shinichi Suzuki said, “the fate of the child is in the hands of the parent”, heavy stuff… but we’re here to help navigate that responsibility so make sure to give some time and thought to the third side of the triangle–it can be your solace and support. We really appreciated Sara Marie Brenner’s post, To Do or Not to Do: For Parents, the dos and don’ts of private music lessons. If you haven’t read it, you can check out the full article here. Below are some of our favorite points paraphrased and expanded on. Let us know what points really hit home with you! Make it clear that music lessons are a long-term process. Both you and your child should avoid framing this as an activity you are “trying out”. That would be like planting a seed in March and then just “trying out” gardening until May. Hang in there, and the fruit of your labors will come. Focus on the quality of practice, not the quantity. Life is busy, kids’ attention spans are short—make sure to get the most out of each minute of practicing by putting the most effort possible in. See Less is More for more ideas for quality practice. Be physically present when you are practicing with your child. The worst memories people (including professional musicians) usually have of their parents and practicing is being yelled corrections from an adjacent room. Make the time to literally be there for your child and the quality and tenor of practice will dramatically improve. Put the Suzuki CD on every day! If this isn’t easy for you, investigate why and see if you can find a way to make it easier. Do you need to set up an in home stereo system? Upload the music to your phone? Put speakers in the kitchen? This can be the easiest part of practice, so it’s worth putting the time in to find a way to make it work. If you’ve listened to your CD a zillion times and your kid needs some variety, buy the CD that goes with the next few books and mix that in. For more on the power of listening, read here and here. Be your child’s cheerleader. Music lessons are hard and music teachers can be demanding. Your most important role is to let your child know that you have unconditional love for them and unsurpassable belief in their potential. Don’t threaten that you will stop lessons if they don’t practice. There are very few children (statistically insignificant) who have developed the ability to consistently carry through with long-term goals on their own. It is your job as a parent to help teach them this skill. There may come a time when your child truly doesn’t have an interest in playing their instrument any longer, but this is something that can best be determined with serious, compassionate conversations with your child and their teacher, not with threats. Don’t correct your child during a lesson. It is very important to enforce the concept of “one teacher at a time” and respect the relationship between your child and their teacher. If you have a concern that was not addressed in the lesson, ask the teacher about it directly. Don’t except your child to be grateful for your sacrifices. Gratitude for the ability to play and enjoy music will come much later, along with adult maturity—don’t expect it from anyone under the age of 18. Almost all of my students’ parents made some reference to Amy Chua in the week following the provocative excerpt of her new book, Battle Hymn of the Tiger Mother, in the Wall Street Journal. Some parents felt inspired, some appalled, but all were intrigued. As the opinions darted around cyber space and my lessons, I found myself comparing and contrasting Tiger parents and Suzuki parents. • Both assume strength in their children. • Both spend time working with their children. Chua relates an anecdote about practicing with her daughter that she uses to demonstrate how her tenacious and unrelenting demands (abusive demands, if you ask me) resulted in her daughter’s heightened achievement. What I see as the positive aspect of this story is that Chua was practicing with her daughter. Suzuki parents also practice with their children; Suzuki parents, however, are trained to support and encourage their child with the goal of making practice time effective and enjoyable instead of a battle. Chua writes: “what Chinese parents understand is that nothing is fun until you’re good at it.” I agree with this quote, but this doesn’t mean that your child has to just suffer along until she can play a Vivaldi concerto. Rather, a student can excel at all the steps in the process of learning an instrument, whether rest position feet or May Song. I do think that “Western” parents often get tripped up in the idea that demanding excellence and repetition is an imposition. It is not an imposition; it is the key to your child’s success and enjoyment. “Nothing is fun until you’re good at it”, or, to put it in Suzuki language, “ability is the life force”. Both Tiger parents and Suzuki parents want to help their children develop ability. Both are very active parenting styles. Tiger parents, however, look to intimidation and guilt to achieve their goals, while Suzuki parents follow the adage of Dr. Suzuki himself and “nurture with love”.